Welcome and a Happy and Profitable New Year! If you are truly committed to making 2017 a turning point for you and your business, I have a rare and exclusive opportunity for you and I to work together directly to make this next year one of real transformation for you.  What Is The Breakthrough 2017 Private Coaching Programme? For two months, you and I will work together to launch you into 2017 with both the leading edge strategies and skills to grow your business AND the personal support from me to help you with your specific business issues and challenges. The purpose of the programme is to give you everything you need to at least double your profits in 2017. Each week, for eight weeks, you and I and the other business owners on the programme will get together for an in depth Private Conference Call. Part One. In the first part of each of our eight weekly calls, I will cover a specific element of Entrepreneur and marketing success, ranging from online marketing to pricing strategies, social media, email marketing, business planning, Google and Facebook strategies and a whole lot more. I will give you one after another winning strategy for you to add to your business. The proven strategies I’ve used again and again to double or triple the profits of the businesses I work with. Part Two. In the second part of each of our eight weekly calls, I will personally answer your questions. This is the vital personal support that makes this programme unique. 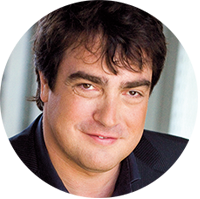 Each week, you can ask me anything related to your business, marketing and online marketing. Maybe you want my advice on your website, or you’re having an issue with Google or Facebook, or you want to implement premium pricing or you’re looking for some big picture coaching on the future of your business. I am renowned for being able to quickly identify the hidden profits in business. Ask me the right question and I can make you a lot of money. Ask me the right questions across 8 weeks and have me as your personal coach and mentor during that time and I promise that we can transform the profitability of your business. Although you can ask me anything you want on our weekly calls, each call also has a theme where I’ll be making sure that you are completely up to date with the leading edge marketing and online marketing required for stunning business success. The Millionaire Entrepreneur. The secrets of the psychology of wealth. In case you miss a call, or want to re-cap on the information covered, you will receive a full recording of each of the calls which are yours to keep. Because of the personal support I will be giving you through the programme, it is limited to 25 business owners. The size and type of your business does not matter. We will have everyone from start ups to multi million pound businesses – selling products and services to businesses and consumers. What does matter is that you are going to use and implement what we cover and make maximum use of the personal support you will be getting from me. The 25 places are valuable so I want them to go to success driven business owners who are going to make the most of our time together. You must have a serious ambition to at least double your profits in 2017. Please commit to being on the live calls. While we understand that you may have urgent commitments, please commit to being on at least 6 of the 8 calls that we do together. This type of programme could easily be priced in the £5000 to £10,000 range – for those who commit and follow through on what we cover, you are guaranteed significant profit increases and the entire focus is to double your profits in the year ahead. Your investment for Breakthrough 2017 is just £1495 plus VAT or four easy monthly payments of £495 plus VAT. Please note. The programme is limited to just 25 business owners because of the personal support you will be receiving from me. This programme will be over subscribed so confirm your place now to avoid missing out. We also have 7 Breakthrough 2017 Platinum places available. The Platinum option includes all of the above, plus a personal, one hour private Breakthrough Consulting session with me. This will be a private call with just you and me (and any colleagues you want to join) where we go deep into your business and create a series of profit breakthroughs. My Breakthrough sessions are renowned for transforming businesses. You get to choose what we discuss. We can work on a complete new strategy for your business, we can go through your website together, I can look at your Google Adwords account and show you where to make changes – the choice is yours. The investment for the Breakthrough 2017 Platinum option is £2500 plus VAT. Only 7 Platinum places are available and are being allocated in the order in which bookings are received. If you are one of the 25 business owners I work with on Breakthrough 2017 you are going to experience a series of profit breakthroughs that can only substantially increase your profits – and that’s guaranteed! I am so certain of the power of this programme that I offer the following personal guarantee. If by the end of the second of our weekly calls, you are not certain that the programme is going to be worth at least £10,000 to you and your business, simply let us know and we will give you a full refund – so questions asked. All we ask is that you attend both of the first two calls. This is your guarantee that you can only make money by joining Breakthrough 2017 and there is zero risk for you. It makes the programme effectively FREE – either you make money from the programme or you get your money back – guaranteed. If you are not already a member of my VIP Inner Circle, you’ll receive two month’s Free membership. This includes my monthly 24 page Business Breakthroughs newsletter, CDs and DVDs, exclusive online material and advance notice of my courses and events. Full membership is £77 plus VAT per month and you will be automatically upgraded to full membership after two months, unless you choose to cancel, which you can do at any time. You will love the VIP Inner Circle and it’s the perfect way for us to stay in touch after ‘Breakthrough 2017’. Just 25 Places Available – Act Fast!